If there's one thing I like, it's unusual things. I've loved unicorns and mermaids for what feels like my entire life. How can you not? They are freaking awesome!! 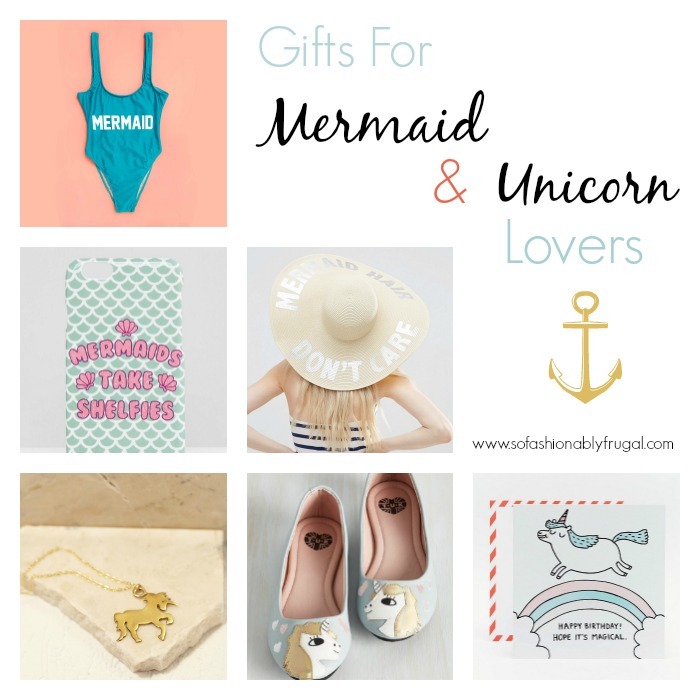 Luckily for those like me, the internet is busting at the seams with unicorn and mermaid themed material. I couldn't wait to make a post of my favorite pieces out right now. The best part is they aren't childish in the least. You can rock them anywhere and absolutely stay in style! That Baywatch themed swimsuit? Amaaazing. Mermaid Hat / Rest of Items are Below! To be honest, both of the swimsuits here are my top favorites in the blog post. The mermaid bikini has faux shell cups! Just like Ariel's! Pair it with a fishtail braid and mermaid themed case and you are beyond set for the pool.